In the Catholic tradition, a focus of the month of November is the holy dead: In particular, praying to Jesus through the members of the Church Triumphant (those in heaven) on All Saints’ Day (November 1st, a Holy Day of Obligation) and praying fror the members of the Church Suffering (those in purgatory) on All Souls’ Day (November 2nd). 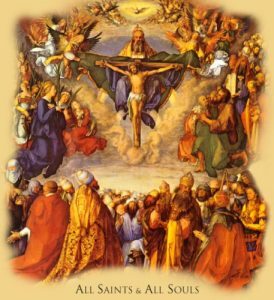 All adult Catholics must attend Mass on All Saints’ Day. 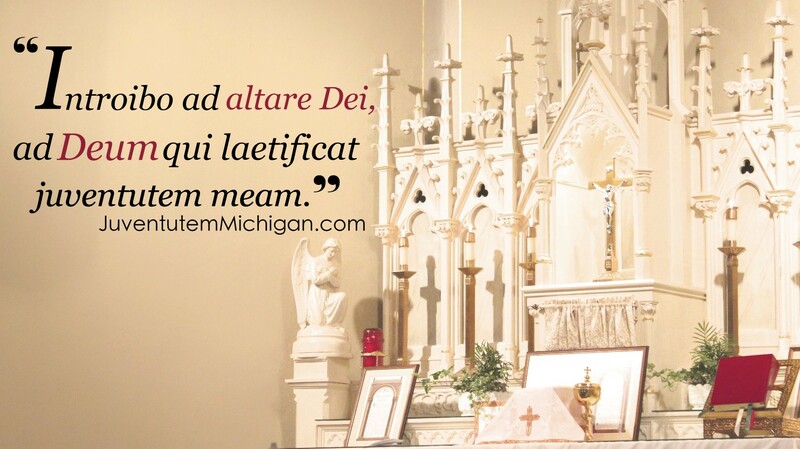 On All Souls’ Day, we hope that every member of Juventutem Michigan will seek to earn a plenary indulgence for a soul in purgatory by piously visiting a church or oratory and praying the Pater and the creed. We particularly recommend visiting one of these parishes for the Traditional Latin Masses that will be offered. November 1st: – 6:00 p.m.